Well friends, it doesn’t get much easier than this! 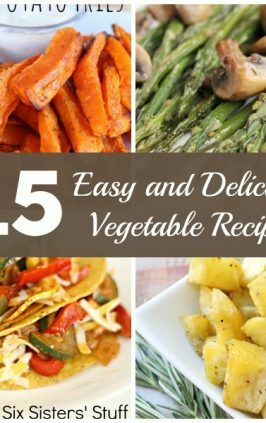 The ingredients are most likely in your cupboards, they are super easy to make, and my picky four-year-old boy loves to dip them in ketchup (he thinks that they are square french fries). 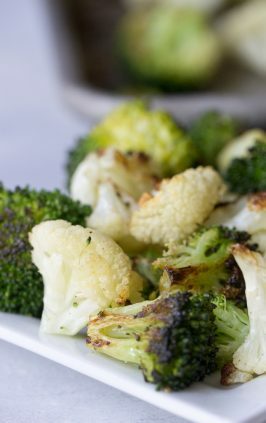 This is seriously one of my go-to side dishes and I am sorry that we haven’t put them on the blog yet! Dump diced potatoes on the foil-lined pan. 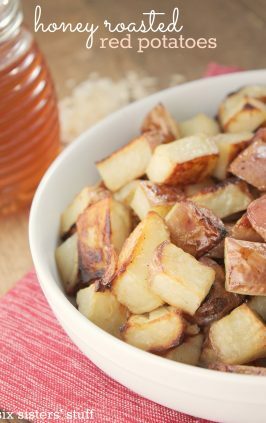 Drizzle the olive oil over the potatoes and using your hands, gently toss the potatoes until oil has covered all the potatoes. In a small bowl, mix together the Parmesan cheese, paprika, garlic powder, salt and pepper. 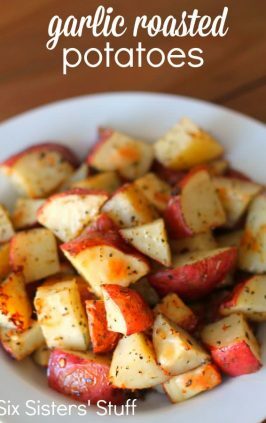 Sprinkle over the potatoes and once again use your hands to incorporate spices over the potatoes. 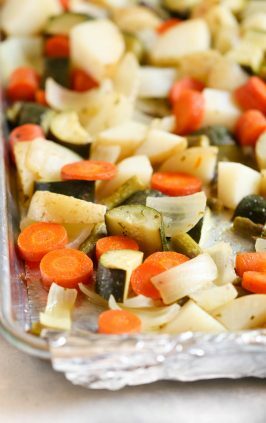 Place pan in the oven and cook for 35-45 minutes, stirring every 10-15 minutes so that they are evenly cooked and don't get burned on the bottom. When finished baking, remove from oven and sprinkle with additional salt and pepper, if desired. 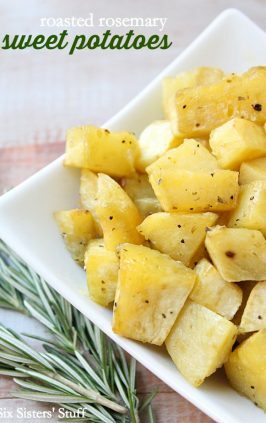 I too put mine in a baggie and shake and massage those potatoes, and...because of doing it this way you can cut the olive oil to about 2 teaspoons instead of 3-4 tablespoons!! Olive oil first...then add the rest. These look great! I love potatoes, love a good fruity olive oil, love Parmesan, love garlic. 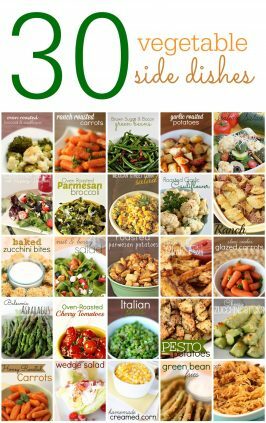 This is the second recipe I've gotten from you through ZipList, so I guess it's time toput you into my "Favorites" Cooking list! Can someone tell me.what happened to.my recipe box? I can't save anything? Maybe a silly question... but If I half this recipe, will I still need to bake them as long? Hi Wendy. It's not a silly question. Your cooking time will be reduced a little, but not by that much. Just watch them closely and when you turn them every 15 minutes, poke them with a fork and see if the potatoes pierce easily. You may only shave off 5 to 10 minutes. Watch them closely! I toss my potatoes & oil in a big plastic bowl, then add spices, etc. and toss again. 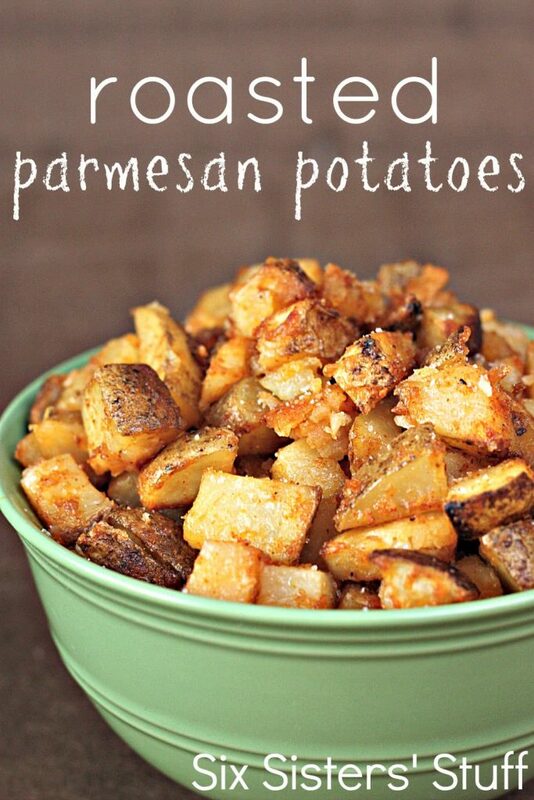 But I haven't tried them with parm before - sounds delish! And I use non-stick aluminum foil - makes clean up easy! 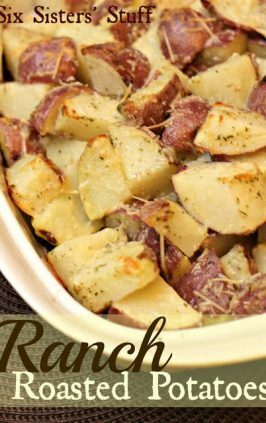 And I use 2 forks to move potatoes so that the biggest cut side is facing downward on the pan - it just takes a couple of minutes and they taste even better. My niece loved your recent class in Utah! I made these last night and everyone from my picky 5 yr old to my chef-husband LOVED them. Thanks so much for sharing!